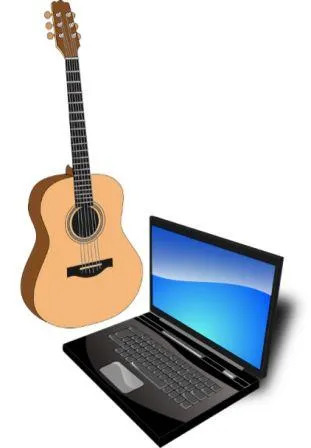 There are many options for online guitar lessons for beginners. In fact, most online guitar lesson providers put a lot of their focus into catering for the beginner. Below are a collection of some of the many options. This list isn’t everything but it’s a lot of options – if you know of any others feel free to let me know in the comments section at the end of this post. I have tested and reviewed some of the lesson providers below but not all of them – so I can’t attest to the quality of the ones that I haven’t reviewed yet. There are both paid and free options below. As I’ve said there are a large number of options. The lesson providers below are just some of those options but covers the major ones. Guitar Tricks is, in my opinion from what I have seen, the most complete guitar lesson provider on the internet. They have a well laid out user friendly website and great lessons and lesson system for beginners. But they also have awesome lessons for more advanced guitarists, heaps of songs that you can learn step by step and style lessons so you can focus in on a particular genre – e.g. blues, country, metal, jazz etc. Jam Play is another amazing site for the amount of material they have and the number of quality instructors they have. Whilst they used to be better for more intermediate and advanced players, they are now also a quality option for beginners. So if you want to really advance your guitar skills and want to continue with a quality platform once you have mastered the basics, then Jamplay is worth checking out. I have completed a full review of Jamorama and this is a great system for giving beginners a solid foundation in playing guitar, in my opinion. This is the best beginner guitar lesson system that I have reviewed so far. It hasn’t got a lot for the more advanced player – but the beginner stuff is awesome. Justin’s guitar lessons are perhaps the only truly free guitar lesson provider. Everyone else that is free has paid options. That said even Justin has DVDs and Books for sale. But good on him – it looks like he , and all the lesson providers (at least the ones I have reviewed anyway), put a lot of effort into creating their lesson systems. I have only reviewed the free lessons that you can get from Gibson. The free lessons are pretty sporadic. I wouldn’t recommend Gibson’s guitar lessons if you just want access to free lessons because there will be huge gaps left. If you are looking for a site to try the free stuff and then potentially buy the paid stuff then you check these guys out at the link below. Guitar Apprentice is unique in that it uses a system kind of like playing Guitar Hero to learn to play the guitar. I’ve tried some of the free stuff and it wasn’t my thing. I learned guitar in a more traditional way and it didn’t do it for me but this might work for others. It’s mostly about learning songs rather than techniques from what I can tell and you pay per song. Great if you like learning this way and you’ve already learned good technique but I wouldn’t recommend it for beginners just getting started. Guitar Compass has a mixture of free and paid lessons. I have yet to review either the free or paid sections for this site so I can’t comment on the quality or how many lessons you get for free. But the paid subscription does seem very reasonably priced (see price chart below). Once I have reviewed this lesson provider I will add a link here to that review. If you want to check it out for yourself see the link below. Artist Works has a unique part of their site. They offer feedback via video. You can record yourself playing and upload your video and you will receive a video message back which gives you feedback on your playing. This sounds pretty awesome. I haven’t tried this for myself yet as I am yet to do a review for this lesson provider but I am very curious to do so. It sounds like they also have some big names in the guitar world teaching lessons. Whilst I am yet to review this one it sounds promising. It is the most expensive though. GuitarLessons.com also has the site Guitarlessonsforbeginners.com and howtoplayguitar.com. It’s all the same guy as far as I can tell and I think some, if not all of the lessons are repeated across the sites – with a slightly different theme for each. From what I can tell these sites are very focused on the beginner. I’m not sure there’s much to offer a more advanced guitarist, once they’re finished with the beginner lessons – unless you upgrade to a paid subscription. Now I haven’t reviewed the free or paid lessons here so I can’t comment on the quality or the completeness of the guitar lessons. Once I’ve had the chance to review this I’ll link to it from here, in the meantime you can learn more at the link below. Check out the price chart below for all the various prices charged by the different lesson providers. One thing is for sure, they are all a lot cheaper than in-person private lessons (price being one of the advantages of online lessons). Thanks for reading. I hope this has helped you to find online guitar lessons for beginners that are right for you. I know there are likely many other lesson providers that I haven’t mentioned here but these are the main ones that I have seen. If you know of any others that I’ve missed let me know in the comments below. Any other comments or questions very welcome also. If you’re interested in any of the guitar lessons mentioned in this post check out the links under each description above. I’m trying to learn guitar, but it’s difficult on my own. It makes sense that I would want to try getting lessons! I might have to see if I can get lessons online. That would definitely be convenient. Yeah, lessons (for everything, including guitar) are a great idea, in my opinion. It just makes learning much faster and gives you a million times better chance to end up with good technique and to not have big holes in your knowledge. And yeah there are definitely a lot of pros to online guitar lessons – convenience being a big one. There are a couple of downsides too – so you’ve got to weigh up what’s best for you – in person, or online – but either way they are both going to be hugely better than being “self-taught” – IMO anyway. Check out the following for the pros and cons of online lessons and in-person lessons. Check out why guitar is most popular among all other musical instruments? Thanks for your input. Some wise, and very truthful, words there. You put it well what it takes to learn and play a piece of music well – so much goes into it.